Two-Player Board Games for Couples (Or, Our Best and Worst... So Far). I’m putting together this list of games that my fiancé (now wife as of 9/28/14) and I have played together as a way to keep track of what we’ve liked and what we haven’t so far (and why). 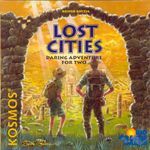 We tried many of these games because of recommendations made on others' lists, so we thought/hope some folks in the BGG community might find this list helpful addition. And, we would would very much welcome suggestions of other games we might want to try or avoid based on the information provided below. To give you some idea why we may or may not have liked a game, please keep the following in mind: (1) we usually play two player, (2) we like to play games we can finish in a single session that is not too long -- or games where you can get multiple plays during a single session that is not too long, (3) she prefers games that rely at least a little on luck (i.e., not all strategy) and aren’t too complex -- where you can learn/remember the mechanic after a game or two, whereas (4) I love strategy and complexity -- but don't mind a little luck. So, we've really been looking games that have something for both of us, but that are more toward her end of the continuum (some luck and some strategy and complexity -- but not too much). I already bought at least a dozen other games we’ll be giving a try in the coming months (such as Macao, Power Grid, Race for the Galaxy, Dominion, Tzolk’in, Forbidden Dessert, Catan Card Game, etc. ), and I’ll add them to one list or the other once we do. Since we mostly play two player, I'll use the good old system to note which games that worked well for us based on the above criteria. Means we really liked a game and it has a regular spot in the rotation. Means we liked the game enough to give it an occasional spot in the rotation (but, we don't play it very often). Means we tried the game a few times but one or both of us rally didn't like it very much (so, we'd rather try a new game than play this game again). This by no means is meant to imply that it is a bad game; rather it just didn't work for us (usually for one or more of the reasons outlined above... or, at least as two player game). Otherwise, games are listed alphabetically. 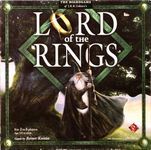 We love the original, and have the Big Box which also included several expansions. Definitely some strategy involved in terms of where to place tiles and meeples, but also some luck in terms of what random tiles you draw. I also have the ap on my iPad (it is remarkably well done, and we play it quite a bit when traveling). We are big fans of Carcassonne, but we had yet to give any of the expansions a try. This one is so good we explicitly wanted to give it two thumbs up. It makes the game a bit longer (by adding 18 tiles). It also adds to the strategy component in three distinct but not to complex ways: (1) inns -- which cause roads completed during the game to score double, but incomplete roads to score nothing at the end of the game; (2) cathedrals -- which cause cities completed during the game to score 1 more point per tile/pennant, but incomplete cities to score nothing at the end of the game; and (3) a "big meeple" that counts as two meeples. We think most people who like Carcassonne are sure to like this expansion. A fun variation of the game with some interesting new mechanics. New strategy components include trying to get the wall tiles, new luck component includes the wall tiles being drawn and placed at random so you never know what you are going to get. As noted above, we are big fans of Carcassonne. We also like Carcassonne: The Castle quite a bit. And, my wife is a cowgirl (really!). So, given that we've really liked some other derivatives of this game and the fact that this one had cowboy meeples, we decided to give it a try. It was definitely fun and added some worthwhile new twists, but in the end we decided we didn't like it as much as the original (especially once you add the Inns and Cathedrals expansion). So, I'm sure we'll break this one out from time to time as we liked the them and variation, but we'll probably stick to the original or The Castle more often than not. One of our favorite games so far. Some luck via the dice rolling, but lots of strategy re: what to do with each dice, when to do it, etc. Also tons of re-playability given (1) all the types of actions you can take, (2) the variety on the knowledge, animal, building, and central black depot tiles, and (3) the boards you can pick, etc. 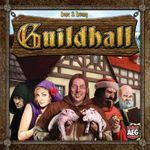 We liked this one so much I'm tempted to use get the BGG expansion (http://boardgamegeekstore.com/products/castles-of-burgundy-t...)... has anyone given this a try? We really enjoy this one in particular (we really appreciate that there are strong two player rules included with the game). Some solid and easily understandable strategy involved in terms of what roles you select and things to build, but also some luck in terms of what cards you draw in your hand and how the roles you picked will work out in relation to what roles the other person picked. The version we got came with the Dark City expansion (which includes an entirely new set of roles for you to choose from and 14 new purple/special ability buildings), and this has really added a lot of variety and replayability to the game. 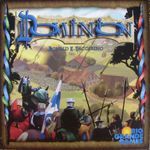 Tried Dominion next based on several recommendations (making it the 17th addition to our alphabetical list). Mechanic is much easier to learn than I thought (we pretty much had it down after one game). Solid strategy and luck components. Strategy component involves what cards you buy and play. Luck component involves what cards you randomly draw during any given hand and how they work together (though I imagine the better you are at strategy, the less you'll need luck, but it seems like luck will always be at least somewhat of a factor given the random draw component). I knew we had a winner on our hands after the third game when SHE said she wanted to try some of the other decks. This was our first deck building game, and I'm looking forward to giving others a try. We are big fans of Pandemic, and were really excited to get this game given that it is co-op and has pretty high ratings on BGG. But, after playing it several times it really felt flat to us. We started with the introductory family game (which was definitely a great way to learn the general mechanic), then added some elements from the experienced game (random setup, ambulance/drive, and crew), and eventually played using all of the experienced rules. Sometimes we played with just one crew each (2 total), and sometimes with two crew each (4 total)... we even tried the rescue dog during one of the four crew games since I bought that expansion at the same time as the base game (and the dog did actually add something to the game). Anyway, after a few plays we decided to put it aside for a while and try it again at a higher level later on. We had only played up though the recruit level with four crew, which included 3 initial explosions, 3 hazmats, and 3 additional hot spots because of the extra crew. In our early games there wasn't much tension as we won handily every time. In our last games there was a little more tension until about 1/2 way through, an then it became clear we'd have to get pretty unlucky to lose even with one hazmat left and all the hot spots out. We are hoping if we try it again at a higher level (veteran next time) it will have a little more oomph that we were hoping for. But, the family and experienced recruit games were definitely missing this. Light co-op game. Both the them and mechanic are better than Forbidden Island, but not as good (and simpler than) Pandemic. This is actually an fun game (a good coop is always a plus). But, as others have noted, it is rally Pandemic light (which makes it a little too simple for our taste), and we’d rather play Pandemic than this game 9 times out of 10. But, we do break it out occasionally, especially if we want to teach others the general gist of Pandemic since it can be a little hard to grasp for first time players who may not be used to coop games. I bought this based on a recommendation made by Bill since he and his wife have played it so many times over a short period. After four games, we both seem to like it quite a bit. There is a little luck in terms of what cards you and your opponents draw and when they draw them, but there is also some pretty solid strategy in terms of how and when you play your cards, the victory point cards you select, and more. We had trouble interpreting some of the symbols in our first game or two, but by game three we had figured everything out. A light, quick, yet fun game. Very easy to learn (you will get the general gist within 3-5 turns, which translates into about 3-5 minutes max). Sometimes we play multiple games in a row if we have a couple of hours, but more more often than not we play a single game while we eat dinner (we often play over dinner, and this is one of the easiest "dinner games" we've played). Games rarely last more than 30 minutes after the first game. I'd say it requires a lot more luck than skill/strategy (both in terms of what nobles appear when, and what action cards you have to play at any given time). But, there is also a small amount of strategy as sometimes there are multiple good options or multiple bad options (and sometimes it may be worth taking a low point noble in the short run to do better in the long run). I've also played this with 3-5 friends as a filler game. It takes a little longer (maybe 40 minutes), but everyone got the gist of it by the end of the first round. Very interesting game, and awesome that it is coop. We liked this more as a deduction than a memory game (you can download the clue recording and deduction cards I created to help make the game more fun for us here: http://boardgamegeek.com/filepage/93220/more-color-custom-ha...) But, in the end it wasn’t really our style even though it was coop (felt more like a brain teaser that was more work than fun). I imagine lots of other folks might like this very thing about the game, though. Another great game that I really liked, but it is all strategy and no luck, which was a deal breaker for her. I bought the travel edition which also included the lady bug and mosquito expansions, but we never got around to using them. As with many of the games we won't be playing again, I imagine others might value the thing we did not like about this game (it's definitely a clever game, just didn't work for us). And, I'll definitely give it a try with a friend who is more into this sort of game. Got this the other day and played it three nights in a row. You end up rolling lots of dice in this game, which is not only fun but adds the luck component she likes. But, there is also some meaningful strategy choices in terms of what advisers you select (and when you select them), what buildings you build (and when to build them), and how much of an army to build up each year. Even without the expansion we found this to be a great game, but the expansion (discussed next) adds tons of re-playability and makes it even better in many ways. (5) Soldier tokens -- which replace the use of the dice during the Winter Phase (Phase 8). Given the number and type of options provided by this expansion, the possibilities are endless. 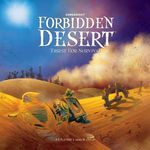 This is a simple game by BGG standards (and certainly the simplest on this list), but we are huge fans of The Little Prince and when I saw this one I decided to give it a try. We were presently surprised by the innovative mechanic that really makes the most out of the theme. We also liked that you could get at least two games finished in less than an hour, and that there are two-player rules that work well. The main change for two players is that on each player's turn they pick three tiles from one of four piles. The player that picks the tiles lays two of them down face up, and the other one face down. Then, the other player gets to pick what tile they want (they could take either of the known face up tiles, or take take a chance on the unknown face down tile ). Finally, the player who laid down the tiles in the first place gets to pick from the remaining two tiles (with the advantage of knowing what the face down tile is if it has not already been taken). The third unused tile is then permanently discarded from the game. It only take 16 tiles to complete the planets, so a two player game will be over after each player has taken eight turns. And, while it seem simple on the face of it, it does require a some thought about how to lay the tiles down (i.e, which ones to put face up and face down), figure out which tile to pick (is the face down tile a bluff or not), etc. Plus, there are lots of different tiles, and each type of character scores points in a different way (i.e., based on number of stars, animals -- snakes, sheep, fox, and elephant, lamp posts, roses, and more). Not to mention you have to make sure you don't get too many volcanoes or baobab trees in the process of building your planet (as you could lose points if you do). It is simple enough that you could play it with kids, and complex enough that we also enjoy it as adults. Interesting game with a good combo of luck in terms of what cards you randomly draw, and strategy in terms of some non-random card choices and how or when you play or discard various cards. But, the game itself had nothing to do with the theme (which was a bit of a turn off but not a deal breaker), and the mechanic just didn’t do it for us. Glad we tried it, but I doubt it will get much play in our house at this point. We liked many things about this game (i.e., the theme, the fact that it is coop, and that it had both luck and strategy components). But, after playing it twice it just didn’t feel very enjoyable to us. The ending is the worst part. After all your hard work whether you win or lose often comes down to a simple dice roll. It was very anticlimactic. No game should end that way. I've since played it with a couple of gamer friends, and we all felt the same way. As noted some of my other recent editions to this list, we've advanced as gamers since this list started, so we decided to give Lords of Waterdeep a try (as well as a few others like Tzolk'in and Agricola which I'll write about separately). This one was a notably easier to learn the Tzolk'In and Agricola, but much harder to learn than things like Ticket to Ride and Catan. And, while there are some small luck components in terms of which buildings, quests, intrigue, and lord cards you randomly draw, there is much more strategy than luck in this game (i.e., where to place your workers, when to place them there, what quests you try to complete, etc.). But, we were both able to pick up the mechanic and strategy after a game or two, and we both ended up liking it quite a bit. We actually like the game quite a bit, but haven’t found it very fun with just two players (even with the included two player rules). Very happy to have for when we have guests, though (so I actually rate it highly overall, just not for two players). Munchkin involves a lot of randomness/luck in terms of what you draw (for your hand, encounters, treasure, etc. ), and a little skill about how you try to advance or strengthen your own character and hinder or weaken your opponent. Designed for three or more players, but we have played it many times with just two and really enjoyed it. We have the Deluxe Edition, and the plastic figures and game board really add a lot to the experience (so I highly recommend it if you are thinking about getting the game). I have all of the expansions for when I play with friends, but having too many increases the complexity so I usually limit it to the base game and 2 or 3 expansions max when playing with my fiancé. She’s a cowgirl (really! ), so she really likes The Good, The Bad, and The Munchkin theme, too. Awesome game all around. We love that it is co-op. Involves quite a bit of strategy, but that’s ok since we are working together. Also has a luck component via random role assignment, not knowing when the epidemic cards will show up, etc. You can adjust the difficulty level, which is also nice. Definitely one of our favorites. We have and are looking forward to giving the On the Brink and In the Lab expansions a try (will comment on them when we do). 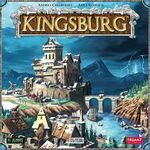 We have played a few games by Reiner Knizia (and I have played several others without her), and this is one of the few we (or I) have really liked. We decided to try it because it was a dice game and we hadn’t really done any of those at the time we purchased this one. Since it is a dice game it involves a fair amount of luck. But, it also has some very clever and easy to grasp strategy components that we have both enjoyed. The game-theme fit is ok at best, but the game mechanics more than make up for it in this instance. Recently got this game in trade and like it quite a bit. You play with dice so there is a luck component (but you get to reroll which mitigates a good amount of the luck). Solid strategy component in deciding which dice rolls to keep, what cities, monuments, and developents to build, how much food to store, and more. We were presently surprised by this one. Feels a little like Ra: The Dice Game (which we also like quite a bit), but there are enough differences between the two that neither will replace the other. First game might take an hour, but after that games typically last about 30 minutes once you figure out the rules.